Discourage exploration. Your child may think that crawling underneath a display or clothing rack is tons of fun, but she could accidentally pull the whole thing down on top of her. Don’t let her reach for anything on a table above her sight line either — she might knock over heavy objects or cause the table to tip over. Keep your kid out of the basket. Buckle her into the fold-down seat of the cart instead (just make sure the safety belt works). Never allow your child to ride on the side or back of the cart. Don’t place your baby carrier on top of the cart. The weight of the carrier may make it tip over. Always stay within arm’s reach of your child when you go shopping — it only takes a second for her to fall or a cart to tip while your back is turned. 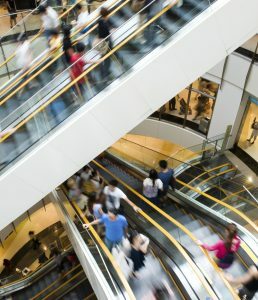 Hold your child’s hand so you can guide him on and off the escalator and make sure that his fingers don’t get stuck in the gaps of the escalator’s handrail. 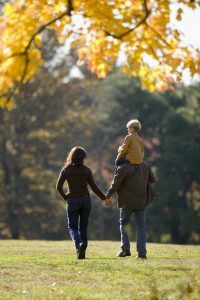 Tell your child to stand still and face forward. If he sits on the steps, his fingers and feet are closer to the escalator’s rotating parts. Got a stroller? Take the elevator instead. Check your child’s clothing. Make sure his shoelaces are tied, and don’t let him drag his coat or scarf on the ground….If your child gets stuck, hit the escalator’s emergency stop button (it’s usually at the top and bottom of the escalator), or yell at someone to do it for you if you aren’t near it. Never try to stop the doors from closing with your arm, foot, bag, or stroller. Mind the gap. Make sure that the elevator is level with the floor before you exit. Your child could trip, or his foot could get stuck in the gap. Stand at the back of the car if possible. Never let your child touch or lean on the elevator doors — that’s where most injuries happen. 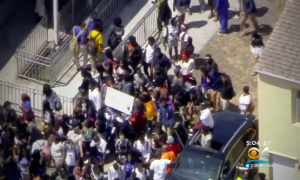 Hundreds of Miami Northwestern High School students held a peaceful walkout to protest gun violence following a Liberty City apartment shooting, which claimed the lives of two of their classmates and left two others injured. The young victims were apparently sitting on the lawn outside a row of apartments when gunfire erupted. The tragedy is part of “an escalating wave of violence” in the community, per CBS Miami reports. 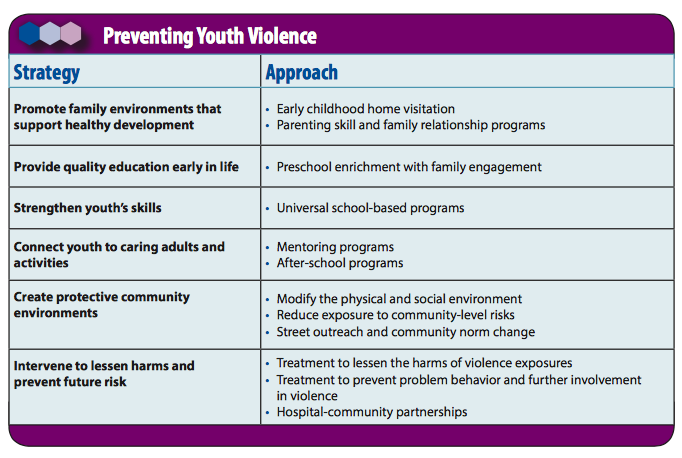 The CDC has released a group of strategies to help communities and states sharpen their focus on prevention activities with the greatest potential to prevent youth violence and its consequences. Read the full report here. Families should not be afraid in their own homes. While community leaders and law enforcement work to end violence in the Liberty City and Brownsville neighborhoods, local apartment owners must do their part to deter crime and protect residents. Apartment residents and guests have a right to be safe and secure while on the premises. By law, apartment owners and management companies have a duty to protect residents from any foreseeable harm. For example, should an apartment owner have knowledge of prior violence and criminal activity in the surrounding area, they must take reasonable steps to protect residents and deter future crime. Additional security measures may include gated-entry, fencing, bright lighting, security patrols, surveillance cameras, emergency call boxes, and off-duty police patrols. Should a property owner fail in this critical duty, they may be held civilly liable for any injuries or deaths which occur as a consequence. Gym parking facilities present inherent security challenges as they often operate during dark, early morning and late night hours. Further, gym parking facilities frequently occupy a large space with low levels of activity and numerous hiding places for would-be attackers. While gym and parking facility owners are required by law to protect patrons from any foreseeable harm, Montgomery Chief of Police and former Secret Service agent, Jim Napolitano, urges patrons to take security precautions of their own. Keep a safe distance between you and strangers. Create a path for movement. If it doesn’t feel safe, go back inside. Don’t go to your car. Gym and parking facility patrons have a right to feel safe and secure while on the premises of the establishment they are visiting. By law, property owners are required to protect all patrons legally on the premises from any foreseeable harm. For example, should a gym owner have knowledge of prior violence on or near property, they have a responsibility to implement additional security precautions to protect patrons and deter such crime. Should a gym owner fail in this critical responsibility, they may be held civilly liable for any injuries or wrongful deaths which occur as a consequence. Tiffany McKnight Killed in Houston Apartment Shooting. Was This Tragedy Preventable? Did a security failure contribute to the death of this young Houston mother? 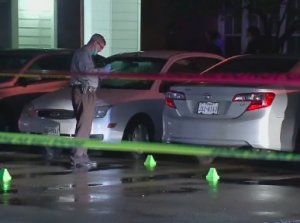 Apartment security measures may be subject to question after a reported shooting tragically claimed the life of, 29-year-old Houston mother, Tiffany McKnight Sunday morning, April 22, 2018. According to ABC 13, gunfire erupted outside Ms. McKnight’s apartment “in the 2000 block of Reed Road.” CBS 46 reports, Ms. McKnight “was returning home from the grocery store when [the suspect] approached her and asked to use her phone.” The assailant apparently “dragged [Ms. McKnight] out of her vehicle and shot her multiple times” before fleeing the scene. Sadly, family members told media Ms. McKnight leaves behind a 9-year-old son. Did negligent security contribute to this senseless loss of life? We represent individuals and families who have suffered a tragic loss or injury as a consequence of negligent property security. 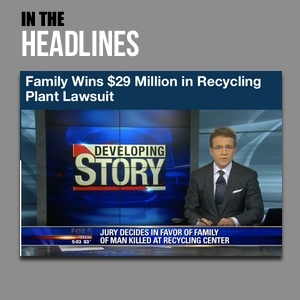 Read Our Legal Take below to find out if Tiffany McKnight’s family may have a legal avenue for justice and claims for substantial compensation in Texas, or call now for a free consultation with our legal team: 888.842.1616. How did the assailant gain entry to the property? What security measures, such as gated-entry, fencing, surveillance cameras, and security patrols, were in place to deter crime and protect Ms. McKnight at the time of the assault? Generally, property owners are required to protect all those legally on the premises from any foreseeable harm. Should the facts of this matter reveal that the apartment complex owner or management company failed to provide adequate security to protect those on its premises, the family of Tiffany McKnight may seek justice and elect to pursue legal claims for her wrongful death. Can Victims of Laundromat Shooting Seek Justice, Compensation? 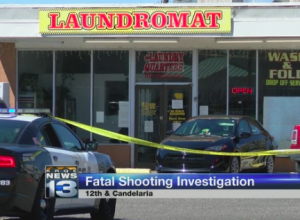 A deadly shooting outside an Albuquerque laundromat tragically claimed the life of Cody Fair Saturday, April 14, 2018, per KRQE reports. The incident underscores the critical need for all parking lot and laundromat owners to provide a safe and secure premises for their patrons. Parking lot and laundromat patrons have a right to be safe and secure while on the premises of the establishment that they are visiting. By law, property owners have a duty to protect patrons from any foreseeable harm. Laundromat owners are encouraged to implement property security precautions and preventative measures, such as those outlined above, to protect patrons and reduce property violence, injuries and deaths.